The pros and cons have long been debated in SEO circles as to whether or not domains are impacted by hyphens or spaces in between keywords in the domain’s address. The same debate held true for social networking sites and its users addresses. I initially thought Google’s algorithm would be able to parse Twitter user name addresses in the search results but to date, I have been proven wrong. 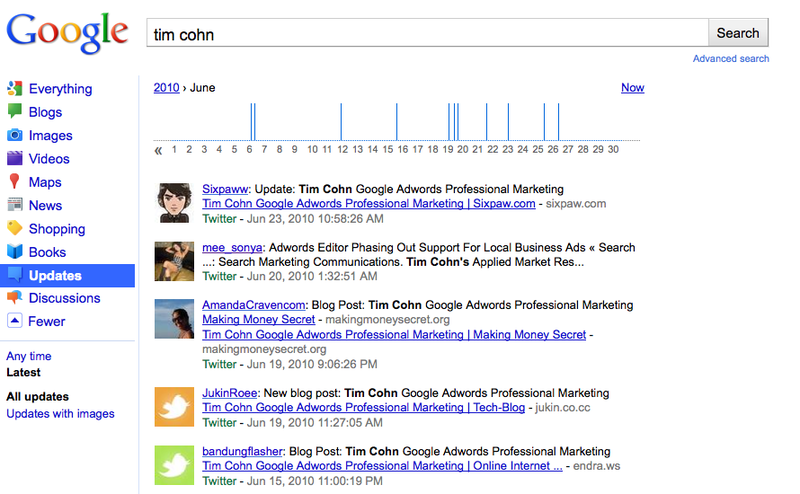 A Google search for my name in Google Updates produces a list of people who posted links with my name spelled and spaced correctly – Tim Cohn. 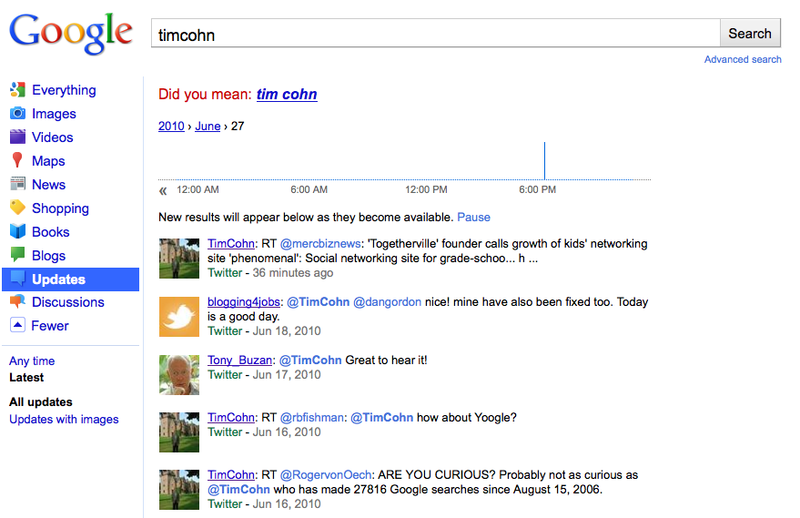 To get a list of my most recent Tweets in Google search, I have to search for my Twitter account name – TimCohn. Surely Google can figure out which Twitter accounts are real users names and which Twitter accounts aren’t. This entry was posted on June 27, 2010 at 7:38 pm and is filed under Google Search, Twitter Search. You can follow any responses to this entry through the RSS 2.0 feed. You can leave a response, or trackback from your own site.